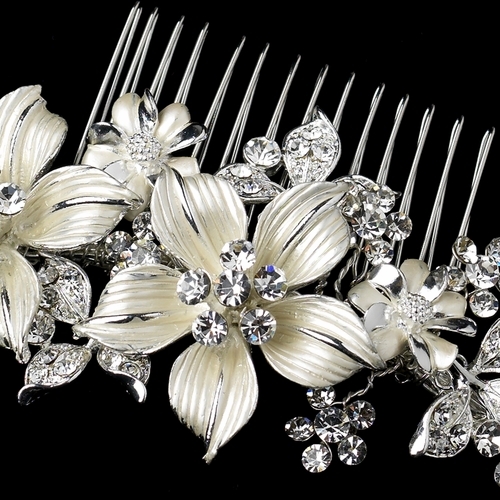 The Victoria bridal headpiece is a chic and elegant addition to your vintage-inspired wedding day ensemble. 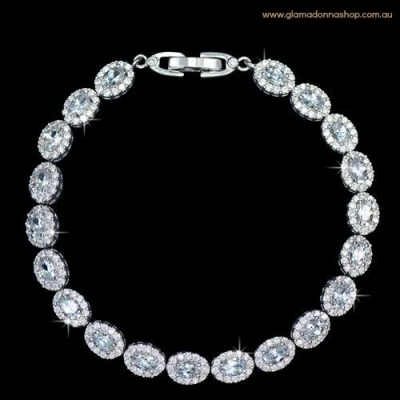 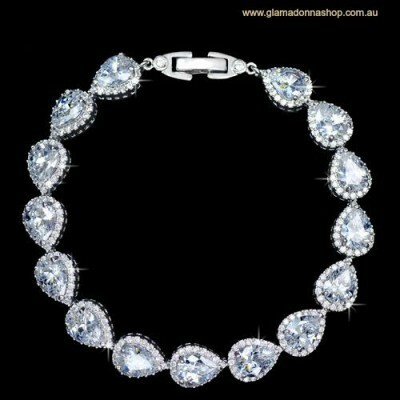 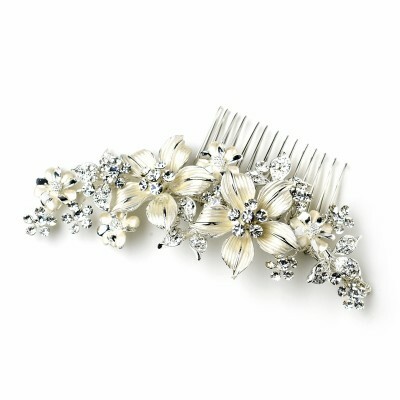 Features a beautiful assortment of leaves, flowers and hundreds of glittering Austrian crystals. 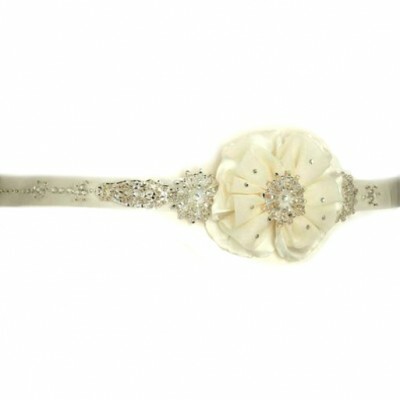 The Victoria bridal headpiece has an champagne / ivory-toned "brushed" finish on the petals which is gives a stunning vintage appearance. 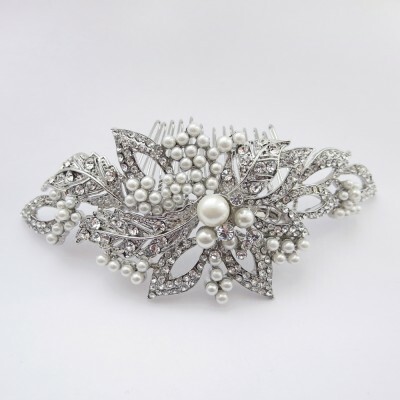 The headpiece is rhodium plated and will not tarnish. 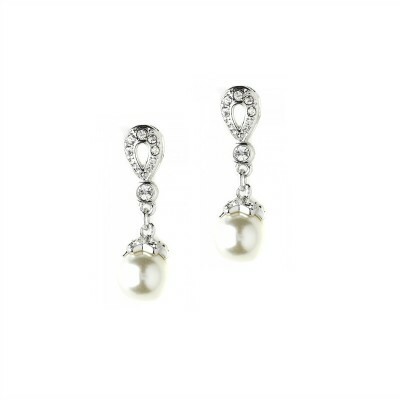 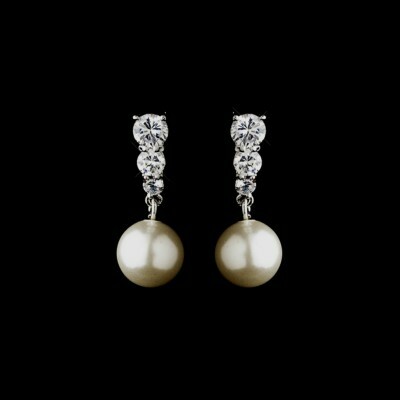 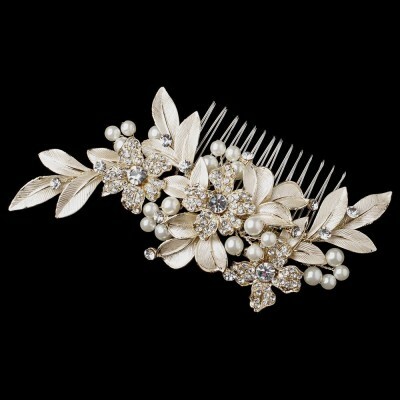 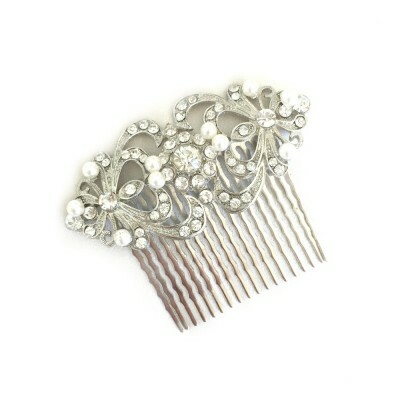 This hair comb matches well to many of the vintage inspired bridal earrings and wedding bracelets in our range. 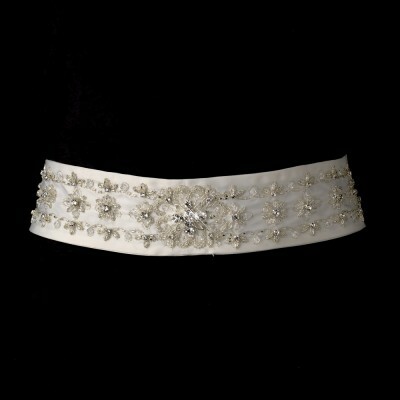 Approx 13 cm wide (not outstretched) / ~ 17 cm outstretched.